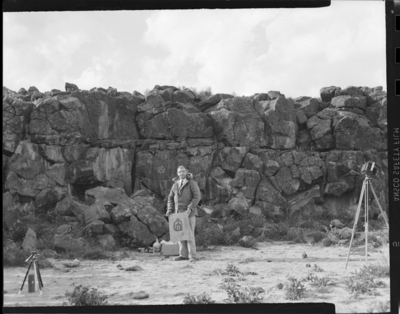 Photographs of members of the Sierra Club, Charles LaMonk, and petroglyphs. Two photographs show LaMonk holding one of his reproductions with the original petroglyph on the canyon wall behind him (ASA001-636 – 637). The reproduction that LaMonk is holding is not in the ASA LaMonk collection.